Your privacy is important to us. To better protect and inform you, we provide this notice explaining our online information practices and the choices you can make about the information collected and used on our main website, kwiktrip.com (the “Site”), rewards website, kwikrewards.com (the “Rewards Site”), mobile app (the “Mobile App”) and other electronic services we provide. To make this notice easy to find, we make it available on our homepage and at every point where we may request personally identifiable information (“PII”). By using any services explained here and accessing our Site, Rewards Site and Mobile App, you consent to the collection and use of information described here. We reserve the right to alter this privacy notice at any time. This notice applies to all information collected or submitted on the Site, Rewards Site and Mobile App or other electronic requests and services. Personal Information collected may include, but not limited to, name, address, email address, birthdate, Kwik Rewards Plus Debit/Credit card information and phone number. We may also collect information about purchases such as transaction data and purchase history as well as about your use of the Site, Rewards Site and Mobile App. The exact information collected may vary with the services you use. We use email addresses, phone number and other information collected through the Site, Rewards Site and Mobile App or other communications to address and answer customer inquiries and issues brought to our attention. We frequently use internal identifiers to reduce the amount of personal information required for the completion of transaction and communication activities. When you register via the Site, Rewards Site and Mobile App, you consent to receiving email marketing messages and other electronic requests (such as survey participation) and may opt in to receive text and push marketing messages. You may unsubscribe from these marketing messages at any time. We do not share your information with third parties for direct marketing purposes. We periodically distribute newsletters through postal mail. This may include providing the postal service with a list of physical mailing addresses for specific mailings and newsletters to provide our customers with the most relevant information. For customers receiving postal mailings, physical mailing addresses may also be shared with National Change of Address (NCOA) services for address verification and improved delivery rates. We use non-identifying data and aggregate information to better design our Site, Rewards Site and Mobile App as well as to provide value to customers who have registered through them. Some data points may include website pages visited, page hits and form-submission events. Such information may be used to target marketing messages and offers on all platforms, coordinate and/or administer sweepstakes and for other internal analysis and promotions. You may request to delete your rewards account at any time. We may use your personal information for processing transactions and user activity through (i) the Site as in the case of our online shopping cart (ii) the Rewards Site or Mobile App (iii) and in conjunction with company and Kwik Rewards-specific third-party software and administrative systems. We may use personal information internally, or share upon customer request, for certain customer service and/or Kwik Trip, Inc. store-related inquiries. Examples of these use cases include locating the owner of a rewards card left behind at a store, facilitating transaction processing, loss prevention and theft investigations, and responding to personal inquiries regarding rewards earning/redeeming or past transactions associated with your rewards account. The Mobile App includes location-based services in order to assist customers with finding a local store with city-level granularity. The Mobile App and Site do not use location-based services for other purposes, such as location-based advertisements. Similarly, the Site and Rewards Site may use third-party analytics to associate a website visitor’s IP address with city-level granularity. We do not sell your personal information. Information collected may be shared with administrators, third-party developers and hosting sites, vendor partners and other organizations on an as-needed basis. Business information may be shared with Dun & Bradstreet (DNB) to support internal due diligence processes. Third-party collection agencies may be engaged and require information sharing specific to relevant Kwik Card accounts. In case of acquisition, merger, reorganization or sale, we may share your information with relevant third-parties. In such cases, we take reasonable measures to limit sharing and ensure your information remains confidential. We may disclose personal information, at the request of law enforcement and as required by law, subject to review and approval by Kwik Trip, Inc.’s Legal Department. Notifications may include information sharing with consumer reporting agencies, pending any law enforcement investigation. We regularly engage with our customers through social media platforms, external to our Site, Rewards Site and Mobile App, including Facebook, Instagram, Snapchat, Twitter and YouTube. We also use third-party tools to follow-up and communicate with customers across multiple social media platforms. Private messages on Facebook and Twitter (Direct Message or DM) may also be used to receive information from customers such as name, email address, phone number and/or date of birth. We may leverage social media technology and tools to customize advertisements and communications for specific customers or groups. We may use third-party survey platforms to reach out to customers. To facilitate the survey process, the following information is used to accurately reach specific customers and collect their feedback: first name, last name, email address, rewards number and a unique identifier. The data set is purged from the survey platform upon completion of the survey. 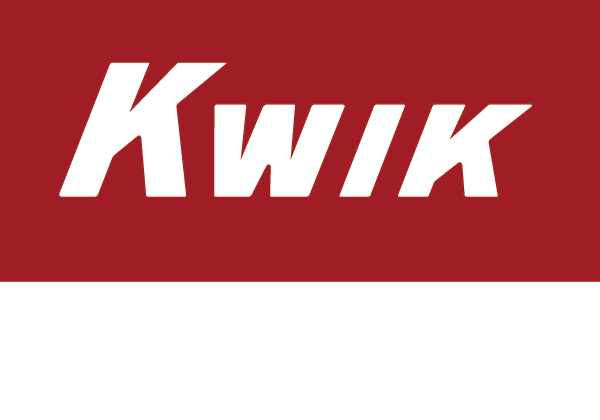 Kwik Rewards Plus Card, available through our Rewards Site, includes the collection of non-public information for identification, application processing and account services. Additional details specific to Kwik Rewards Plus Card, as well as information sharing with designated charities/organizations, are available in the Kwik Rewards Plus Card privacy statement. Information provided through this method (including government ID or social security number) may be used for application processing, credit reporting, collections, skip tracing or query matching against our internal employee database. To prevent unauthorized access, maintain data accuracy and ensure the correct use of information, we have put in place appropriate physical, electronic and procedural safeguards to secure the information we collect online. We limit access to information about you to authorized employees and agents that need to know it in order to provide the relevant Kwik Trip products and services. Protecting the privacy of the very young is especially important. Our Site is not intended to collect information about individuals known to be under the age of 13. Individuals under the age of 13 should not access our Site. If a child under the age of 13 provided personal information to our Site, a parent or legal guardian should contact us using our Contact Us form. The Kwik Trip Milk Moovers Kids’ Club printable application form should be obtained, printed and completed by a parent or legal guardian. The information required for registration includes name, mailing address, phone, email, birthday and parent(s) name. This data is transmitted via postal mail and not stored or accessible on an Internet-facing/public system or our site. Birthday cards are generated using internal systems and internal print shop services prior to sending via postal mail. A parent or legal guardian should contact us using our Contact Us form for any updates or changes to this information. Sweepstakes are further restricted, per the official rules documented in the sweepstakes, including a minimum limit of 18 years of age. Our website operates out of our data centers within the US, supporting customers in the US. We use technical controls to block website requests originating from other countries. Individuals attempting to access our Site outside the US assume responsibility for applicable laws, rules and regulatory compliance. You can obtain or request removal of your personally identifiable information that we collect online and maintain by contacting us through the Contact Us page. This procedure is designed to safeguard your information. You can correct factual errors in your PII by sending us a request that credibly shows error.